Aquaman is out now in the US! After being introduced to mixed fan reactions in one of the most dividing films of 2017, Aquaman gets his first solo cinematic outing to impress audiences outside of the Justice League. As the first film in the DC Extended Universe (DCEU) after Justice League, Jason Momoa has the weight of the Cinematic Universe on his shoulders to revitalise fans and make them believe in the DCEU. Fans hope from more from the Aquatic Prince of Atlantis as some struggled to warm to him as the slightly jock-ish character of the Justice League. We've already seen the film, so make sure to read our review if you want to know what we think - or find out whether or not the film has a post-credit scene setting up sequels. 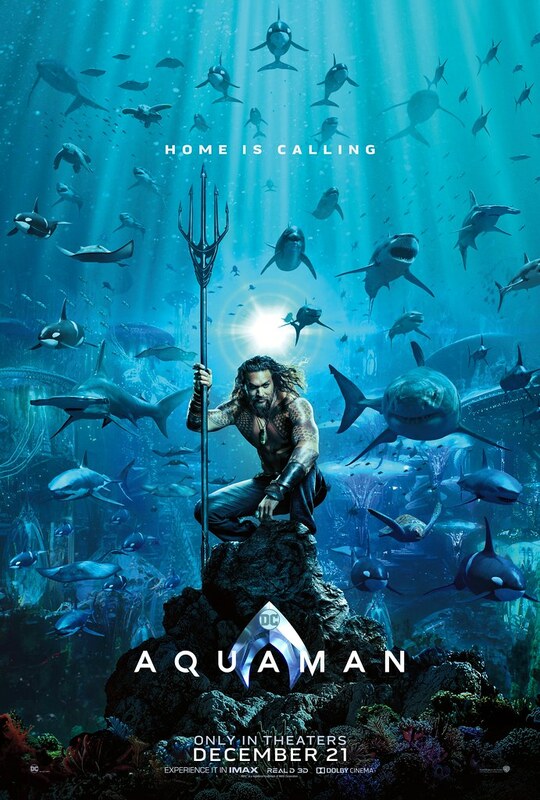 Aquaman is out now in the UK and the US (as of 21 December 2018), with varying release dates elsewhere. Whichever date it is in your country, the film is preceding both Shazam! in April 2019 and Wonder Woman 1984 in June 2020. Jason Momoa returns as the title character, an Atlantean-Human hybrid who happens to be the prince of the underwater kingdom of Atlantis. Also returning from Justice League is Amber Heard's Mera, Aquaman's love interest and comic book wife. Two main villains have been cast and are making appearances in the film. The first, and arguably the greatest Aquaman villain, is Black Manta. The character will be played by Yahya Abdul-Mateen II, a promising upcoming actor who starred in the musical drama The Get Down as Cadillac, one of the main antagonists. The other villain is Aquaman's half brother, Ocean Master, who believes the throne of Atlantis belongs to himself. He's being played by Patrick Wilson of Fargo and Watchmen fame. The rest of the supporting cast includes Nicole Kidman as Aquaman's mother, Queen Atlanna; Willem Dafoe as the Atlantean scientist and advisor Nuidis Vulko; and Djimon Hounsou and Dolph Lundgren as the monarchs of two rival underwater civilisations. Behind the camera, James Wan is manning the helm. Fans are cautiously optimistic to see what he has to offer, this being a far cry from his normal genre of work, horror films like the Conjuring series. Longterm comic writer Geoff Johns returns as the DC movie's producer. The film's writing credits go to Will Beall, with another one of his films, Venom, releasing 5 October 2018. 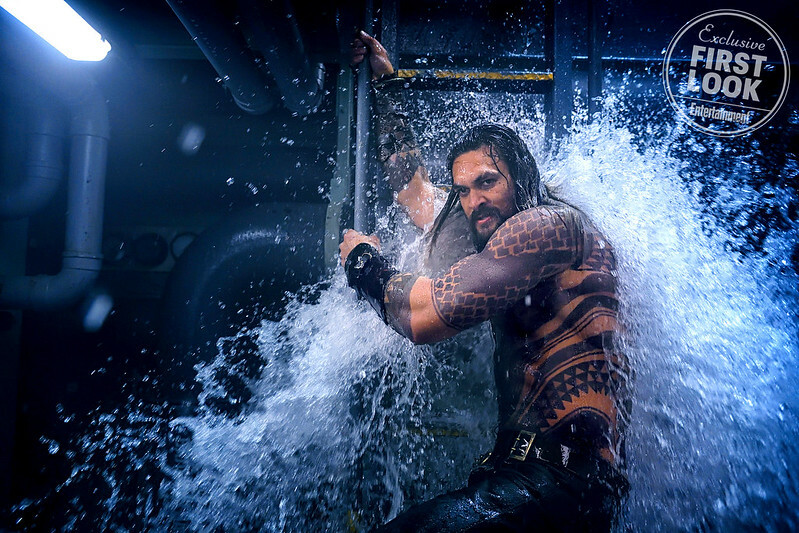 James Wan hasn't been cautious in releasing stills and posters from the upcoming film on his Twitter account and to Entertainment Weekly, including concept art of a massive sea dragon Aquaman will ride in the film. These were the rumours circulating prior to the movie's release. We've kept them in this article for interest's sake. While DC and Warner Bros. stayed quiet about the plot of Aquaman for a while, the first trailer above reveals a lot about what we can expect. First up, it's clear that the film will show off the character's backstory, including his childhood on the surface and the moment that he discovers his powers - apparently as a result of bullying in a conveniently placed aquarium. More importantly, we can see what's going to bring him down to Atlantis: his half brother Orm, currently king of Atlantis, is going to try to wage war on the surface world, forcing Aquaman to challenge him for the throne and try to stop the bloodshed. Judging by the trailer, the plan won't entirely work - there's at least some attack on the surface, as well as giant underwater battle between different factions. Longtime Aquaman villain Black Manta will also be in the mix, but it's not yet clear how. The trailers shows Aquaman fighting through a submarine of his henchmen, and fighting him on the surface together with Mera, but it's hard to say if this is a throw-away fight, sequel set-up, or an indication that Black Manta is secretly pulling the strings of the whole surface war plot. The extended trailer from New York Comic-Con shows more of the Black Manta fight on the surface, along with a sequence where Aquaman and Mera have to activate a mysterious device in the Sahara Desert, which seemingly reveals the location of a magical trident. The footage also includes a glimpse of Nicole Kidman's queen getting into a fight and even a look at Aquaman in his classic green and orange comics outfit, courtesy of said magical trident. Thanks to a leak from toy company Funko Pop! we can also guess that Willem Dafoe's Vulko will be involved in at least one of those fights. Funko released the names of upcoming Funko Pop! Vinyl figures for Aquaman, which included main characters such as Aquaman, Black Manta and Ocean Master to no surprise but also included a variant figure for Vulko named "Vulko w/ Bloody Chase". This may be a sign that we will see Vulko in a large battle and he may either be wounded badly or we may see him perish in the film. One thing you shouldn't expect is any appearances from other Justice League characters. Wan explained to Entertainment Weekly that Aquaman's fellow superheroes wouldn't be crossing over into this solo film at any point - though with that said, we wouldn't rule out a cameo appearance in a post-credit sting.